This street scene could be anywhere. But it isn’t just anywhere. 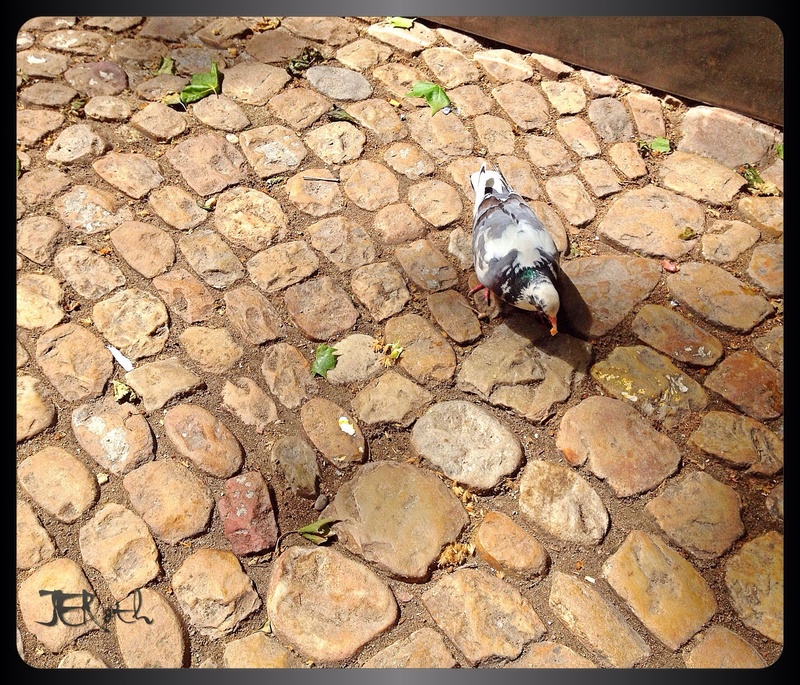 The cobblestones in this square have been a feeding ground for pigeons and pedestrians for centuries. This square sits on the heart of Avignon, just behind and down the alley from the entrance to the historic cathedral, and steps from the Pont d’Avignon. Today the square is lined with small cafés, flower shops and boutiques. Would that we could be transported back in time, to bear witness to the tumultuous events and changes that the cobblestones have weathered. And as for the pigeon; I suspect that he cares not of history or tourism. He cares only that here in this well-trodden place, on and between these uneven cobblestones, there are crumbs a-plenty.